Posted on August 9, 2018 by Kelly M.
There’s so man opportunities to make the most of your time outdoors at Drumlin Farm. Step your romantic stroll game up a notch by joining us on one of our guided walks! Our regular Naturalist Walks explore the sanctuary and cover all things natural that we happen to come across. Or get a little more specific by focusing your time on one feature, like at our Fungi Field Walk. Love birds that love birding won’t want to miss out on Thursday Morning Bird Walks either! Don’t spend your night sitting on the couch watching Chopped again, learn new kitchen techniques and start cooking together! Cooking is a fun way to plan together, bond, and create delicious treats from the heart. Make personalized jams and jellies for your breakfasts or as a mid-afternoon snack at our Jams and Preserves program or create long lasting food to compliment your long lasting love at Pickling & Canning on September 29. Does your partner love Kimchi? If so we bet they’d love the homemade version! Treat them to an experience learning about these time-tested kitchen skills and and taste-tested delicacies. When was the last time you traveled by hayride? Love makes us act like kids again, and our Hayrides are the perfect throwback to simpler times. Take a load off your feet and enjoy our rustic limo ride around the farm site-seeing. Hayrides depart from the Red Barn (weather permitting) every 15 minutes and you can pick up tickets at the admissions window for $2.50/person–a romantic cruise without breaking the bank! 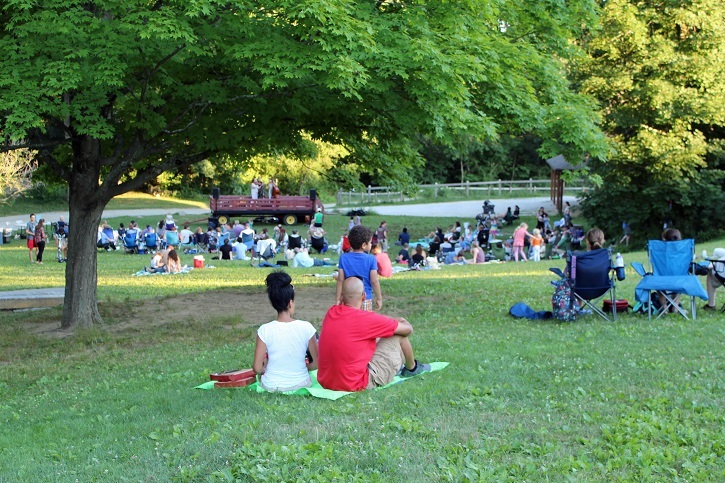 Enjoy sweet tunes, a beautiful sunset, a packed picnic, and an ice cream at our last of the season Summer Music Series concert to see local band Say Darling! Relax on the grass and enjoy the music together, or get moving and dance the night away–shoes optional! As beautiful as Lincoln is, sometimes you just want to get away. Take a trip with your sweetheart on a variety of birding and nature-filled trips with Drumlin Farm. Take a day trip birding Plum Island or walk the beach looking for shorebirds in Rhode Island. Make it an overnight trip to Cape Cod or the Atlantic Flyway for even more adventure! Wholesome ingredients make for love-filled meals; treat yourselves to a date night in made with restaurant quality ingredients from our open-air farmstand. Turn a boring errand like shopping for groceries into a relaxing, grounding experience with your partner. You’ll find quality humane meat you won’t see at your grocery store, and a variety of summer produce like watermelon, carrots, cucumbers, rainbow chard, and more. Bring your ingredients home to cook a delicious meal for two! Did you know, on a clear day, you can see Wachusett Mountain in Princeton from the top of the Drumlin? The view from the top of our name-sake glacial formation is incredible at any time of day. At sunset warm colors paint the sky, and at sunrise morning bird activity fills the air. Reach the summit and soak in the view at your next visit. How romantic! Just when you think you’ve seen all of Drumlin Farm, you stumble on another side path less traveled by. Many smaller trails and rest areas are tucked away throughout the farm, waiting for you. Grab your favorite hiking buddy and bring a field guide and magnifying glass to discover something new! Have you ever seen an owl turn it’s head all the way around in real life? 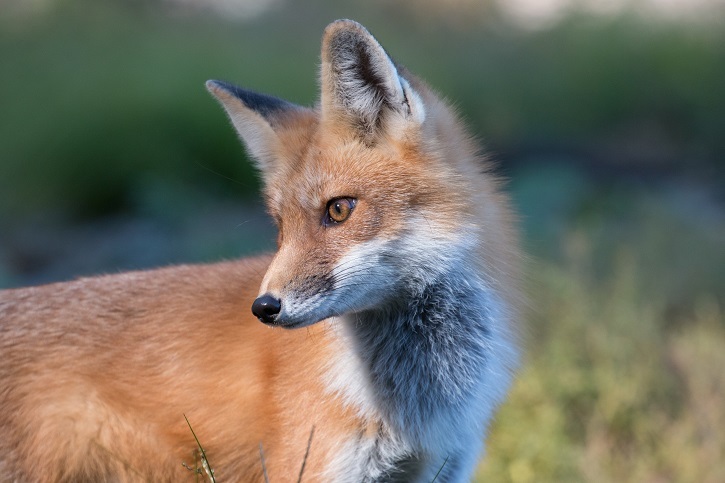 Have you ever seen a red fox up close? Do you know how different countries around the world imitate chicken noises? Our animal exhibits aren’t just for kids, and you’re guaranteed to learn something new together. Take a picture with our friendly cows, measure your arm span compared to a vultures wings, and feel the fluffy wool of our adorable sheep and lambs. 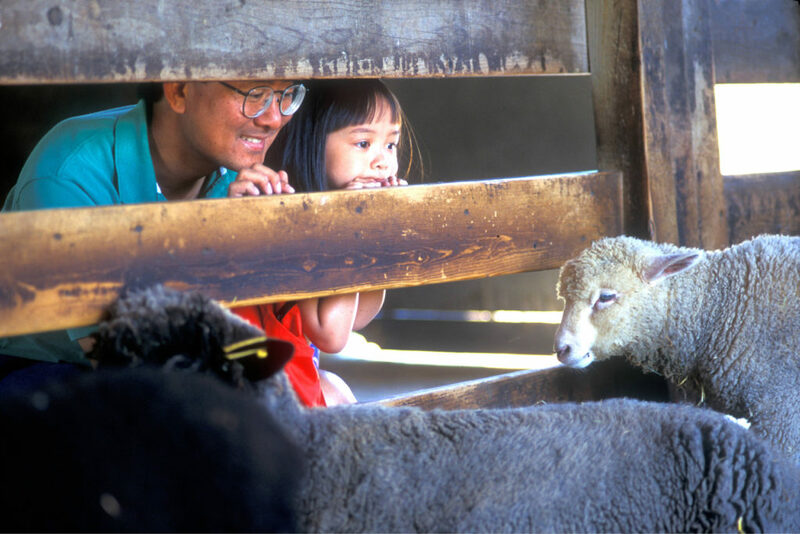 Stroll the farm yard and visit our animal ambassadors on a unique date like no other! The Mass Audubon Shop, located at Drumlin Farm, is filled with gifts for nature lovers and more. Pick up a bird feeder for your home, a plush animal for your bed, or a beautiful piece of jewelry inspired by the natural world. Every time you look at it or use your souvenir you’ll think of your special date day at Drumlin Farm and the memories made with your loved one! This entry was posted in Uncategorized and tagged date, date ideas, drumlin farm, farm, lincoln ma, nature, outdoors, romantic, unique date ideas on August 9, 2018 by Kelly M..